Bits and Bytes about Fedora Linux and E-Cycling. - The hardwood flooring retailer's stock looks like it might have possible market share growth. - Reporting better than expected first quarter results. Looks like the open source community is going to be a large part of the economic turn around. and with Red Hat leading the way we can not lose. This is a perfect example of Fedora's 'First' foundation which represents our commitment to innovation. May we continue to be innovative and lead the way. 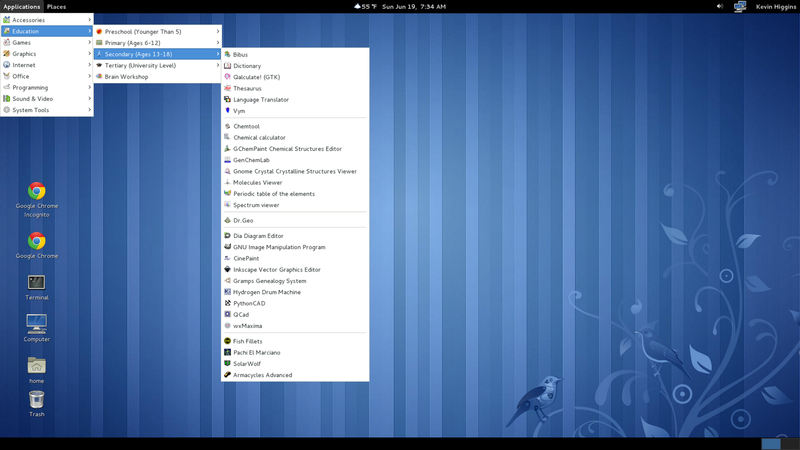 Since our Fedora Remix, CrossBytes School Edition is now based on Fedora 15 we have been working on the menu system in fallback mode first; then we shall tackle learning how to write our own gnome shell extension for Gnome shell. This is a screen shot of what we have so far . We have added icons back on the desktop, redistributed menu items from 'other' and deleted the 'other' from the menu selections. Then we customized for our menu breakdown of educational apps. Then we had to prioritize the menu listing so to not have repeats. Well this is what we have so far. We will be working on an extension for the Gnome Shell but until the memory leak is fixed we shall be shipping our systems with Fedora 15 set up in Fallback mode for now. We have noticed a considerable speed increase on the desktop with Fedora 15 in fallback mode comparison to using the old Gnome from Fedora 14. Thank you for all of the great work to all involved. Can not wait to see how Gnome Shell works out, once the memory leak is fixed. Computer Recycling Center refurbishing computers with Fedora so that students can further their education and make their futures unlimited.